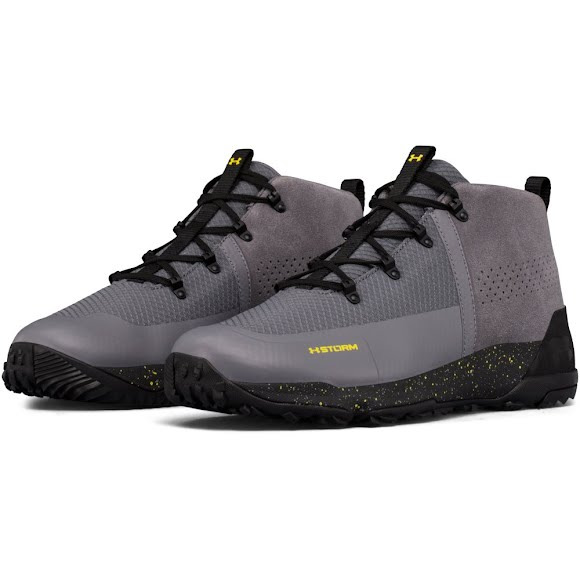 Treat your feet right on the trail or around town with UnderArmour's men's Burnt River 2.0 Hiking Shoes, built to tackle any terrain with superior grip and lightweight comfort. Treat your feet right on the trail or around town with UnderArmour &apos;s men&apos;s Burnt River 2.0 Hiking Shoes, built to tackle any terrain with superior grip and lightweight comfort. Like them, feel good, only that they ran small. Needed larger size. Thanks for all that you do. Shoe's are bad××× great look comfortable, wear them all day on my feet. Bobs great price fast excellent service!